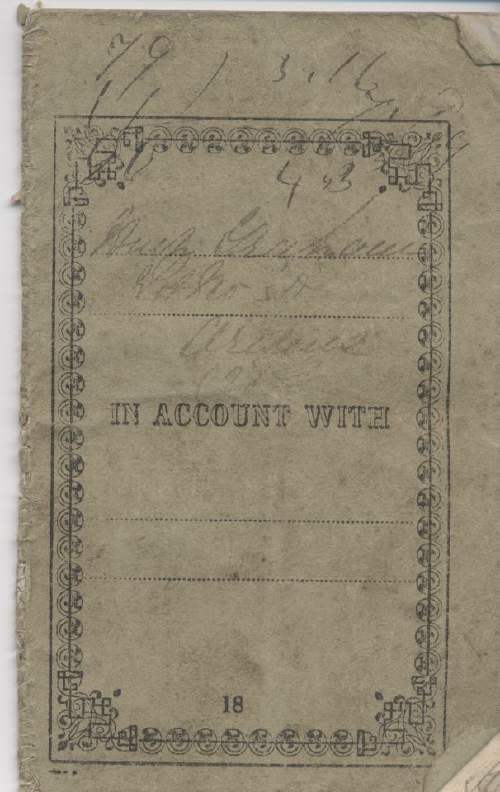 Soft covered account book listing rent receipts from Hugh Graham, from 1860 to 1880. The front of the book is marked 'Hugh Graham Est No ? Ardens ?'. The back is marked 'Rent receipts from Ospisdale'. There is a 4 page preprinted almanac for 1860 at the front of the book, giving notable dates and lists of stamp duty etc. The receipts are signed off by either Dugald Gilchrist or John Douglas.